Where did all the Botanists go? « Nothing in Biology Makes Sense! Where did all the Botanists go? The number of undergraduate and graduate students getting botany degrees has plummeted. Additionally, herbaria, and the wonderful collections they hold, are closing down. What does this mean for science research? Read about it over at USNews. 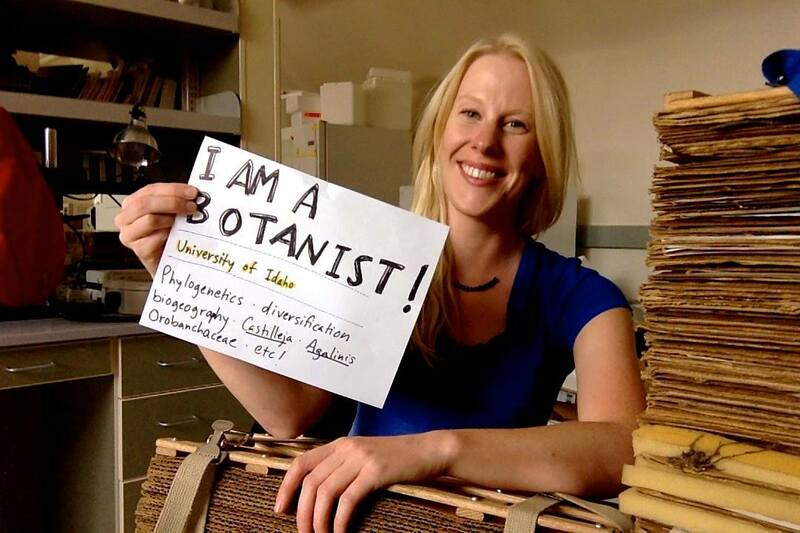 Also check out the hashtags: #iamabotanist #reclaimthename #botany, or see the video below demonstrating botanical field work. Grueling, but intellectually worth it. Maribeth Latvis, a Postdoc working with Dave Tank at the University of Idaho. Here she is holding some of Team Castilleja’s 2014 collections, after extensive botanical field work. ← Do it for the Bats!